Visit the country with the most UNESCO World Heritage Sites on the planet. Enjoy leisurely days on sunny islands with picturesque landscapes, fierce volcanoes, beautiful beaches, vibrant cities, exhilarating nightlife, and so much more. Sample authentic Italian and Sardinian cuisine, beloved as a foodie favorite around the world. Navigare Yachting offers you an opportunity to explore the Italian coast aboard our sailing yachts, bareboat and skippered charters, all perfectly fitted for your holiday comfort. It's the chance of a lifetime to relax in one of the world's most irresistible pleasure sailing locations – we're ready if you are! 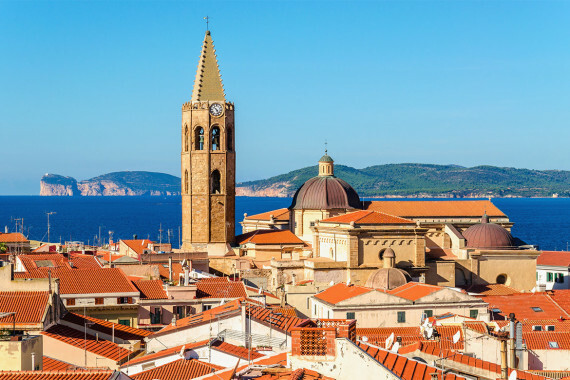 There's a reason fun-lovers and thrill seekers choose yacht charter Italy vacations and bareboat charter Sardinia holidays – the Western Mediterranean is one of the most in-demand destinations for sailing vacation adventures. 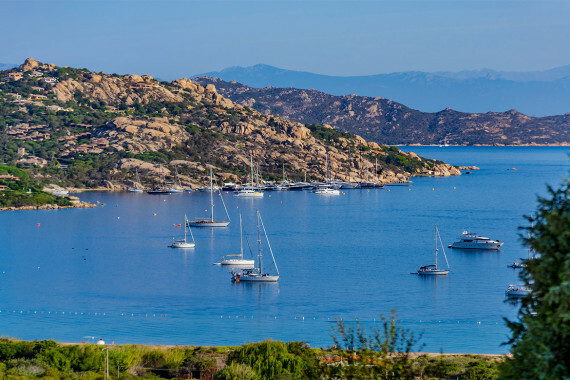 Charter a yacht in Sardinia with Navigare Yachting, the area's most respected sailing holiday operator. We have a full selection of options in Sardinia, including bareboat charters and skippered charters. We also offer an exclusive Sardinia Sailing Holidays Payment Plan, which lets you spread out payments for your vacation over six months. Visit our booking page now to learn more. 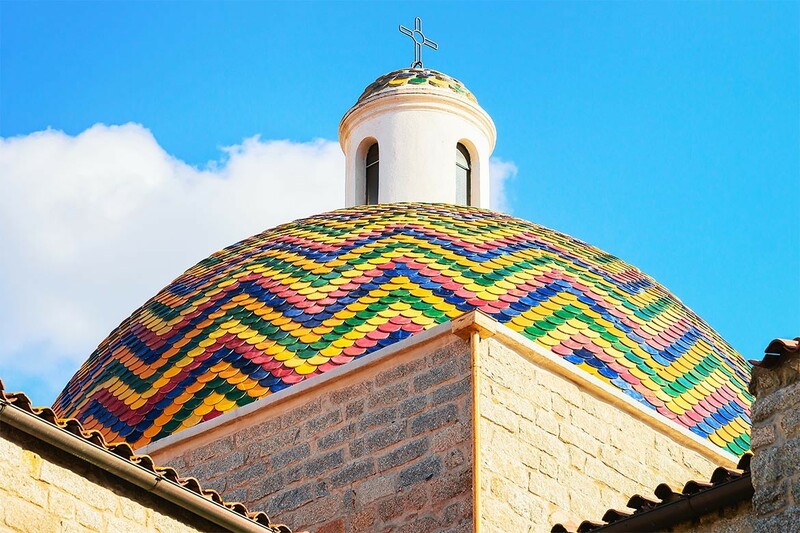 Olbia and Northeast Sardinia are the most popular areas to explore, indulge, and relax. There are isolated beaches and gorgeous coves seemingly around every corner, all with warm sand, friendly breezes, and endless opportunities for fun & sun adventures. 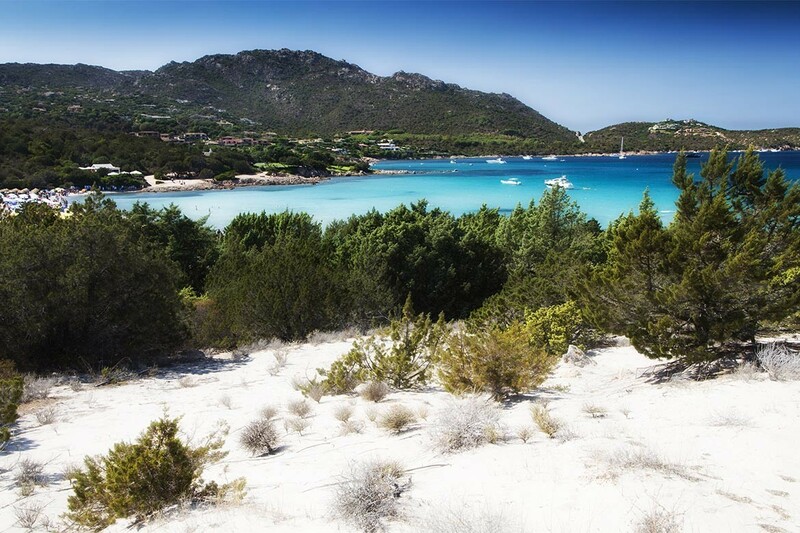 La Maddalena National Park & Nature Reserve is an Italian heritage site and one of the true marvels of the region. Located among small islands just off Sardinia's northeast coast, the park is host to dramatic cliffs, white and pink sand beaches, and lush coral areas for snorkeling and scuba exploration. Alghero is a bustling fishing port with beautiful beaches and an active nightlife. 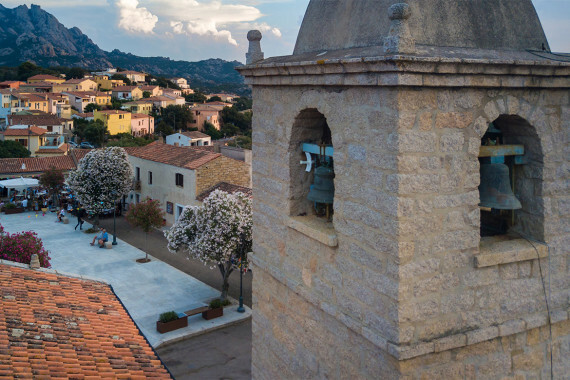 The old town has one of Sardinia's most scenic ancient cathedrals and the area is host to several wineries. It's a wonderful area to begin your exploration of Sardinia's wonders. 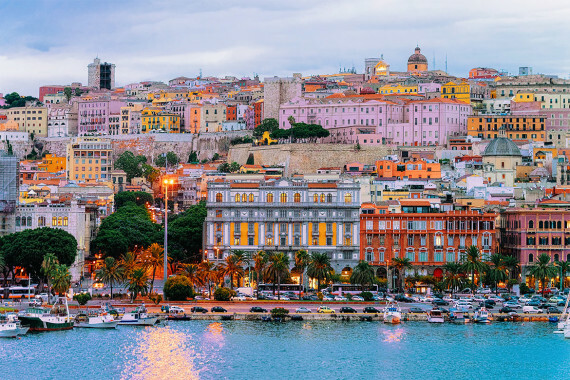 Cagliari is a major city and the gateway to the southern approaches of the island. The marina is extremely well equipped. There's an ancient Phoenician city nearby to explore, as well as small coves and secluded anchorages to enjoy a dip amid the balmy weather. 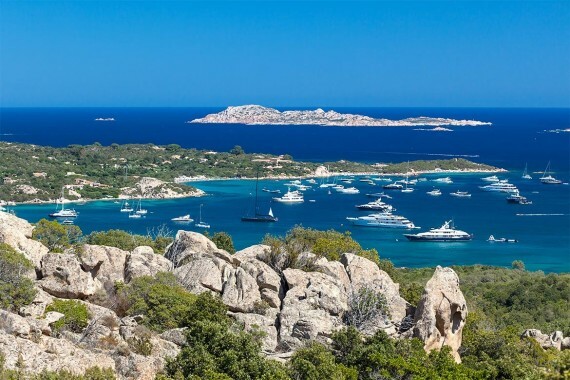 Located above Olbia on the northeast side of Sardinia, the Costa Smeralda is the playground of the ultra-rich. This area is home to beautiful resorts and exquisite dining & entertainment options. High fashion shops offer the latest in Italian and French fashion. Costa Smeralda is a scenic treasure, with gorgeous granite cliffs and idyllic hidden coves, where you can tie up for a day and enjoy the atmosphere of luxury and indulgence. 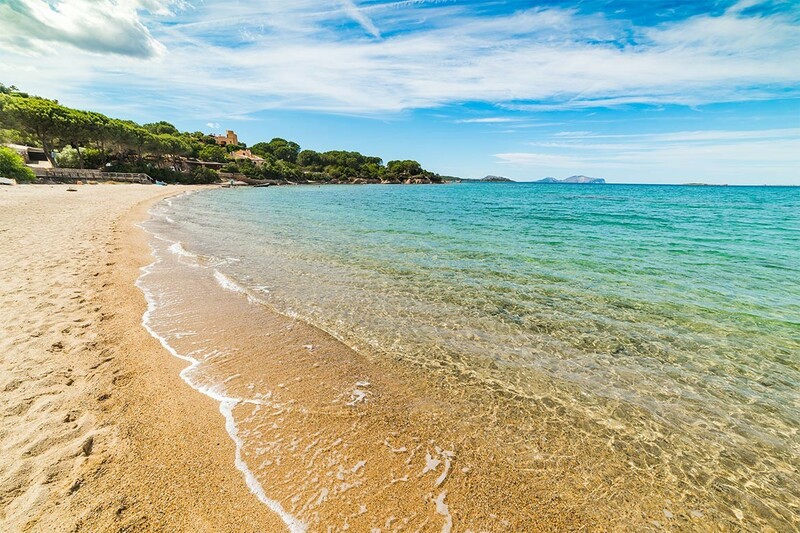 Several sweet spots to be mentioned include the Pevero beach, Cala di Volpe, Cala Liscia Ruja and the Mortorio and Soffi Islands, the Maddalena Archipelago, Golfo Aranci and Tavolara among others. Book today and enjoy the best rates and availability for your Sardinia yacht charter holiday. Planning your holiday has never been easier, thank to our exclusive booking payment plan that allows up to six monthly installments. Combined with our selection of sailboats, Navigare Yachting provides the best options for a truly unforgettable yacht charter Italy vacation. 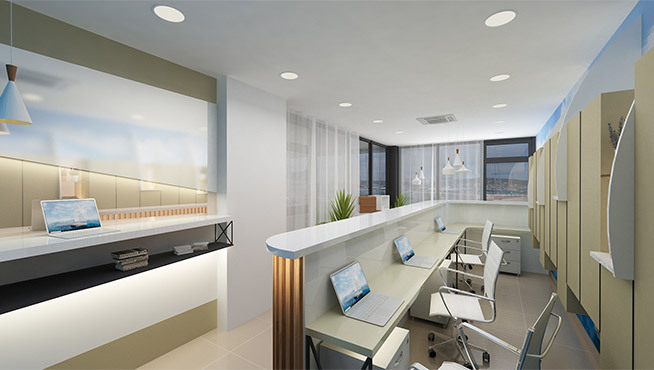 Visit our booking page to learn more! Sardinia enjoys a warm and pleasant Mediterranean climate, with very mild winters and hot, sunny, and dry summers – the island boasts 300+ days of sunshine each year. 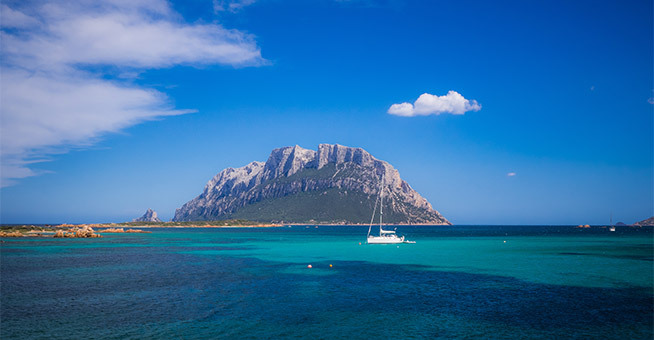 Navigare Yachting bases are located in Cagliari, Alghero, and Portisco, vibrant coastal cities with outstanding access to the most dramatic and desirable destinations in the region. Sardinia's central Mediterranean location ensures breezes are steady but typically not too strong. The Mistral winds are northwesterly and bring warm, dry air in the summer, very welcome to help moderate hot days. Winds grow stronger and cooler as the sailing season progresses. Early season temperatures (March-April) average highs of 17°C during the day and down to 8°C at night, with occasional precipitation. May and June days warm dramatically as summer approaches, averaging highs of 25°C during the day and lows of 15°C at night. July-September are amazingly warm and wonderful, with average highs of 30°C during the day and cooling down to 19°C at night. Rainy days are rare. Late season (October-November) temperatures are very pleasant as they begin to cool, an average of 21°C during the day and down to 16°C at night, with increasing chance of precipitation as the season moves toward winter. Winter temperatures are chilly and precipitation is more frequent. 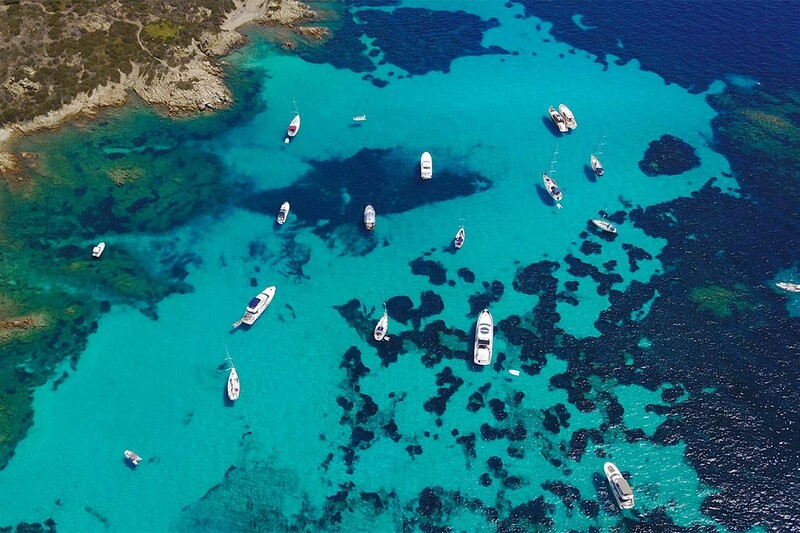 Our yacht rental Sardinia season is closed from December through the middle of March. Our Cagliari yacht charter office is fluent in Italian, English, French, and German languages. 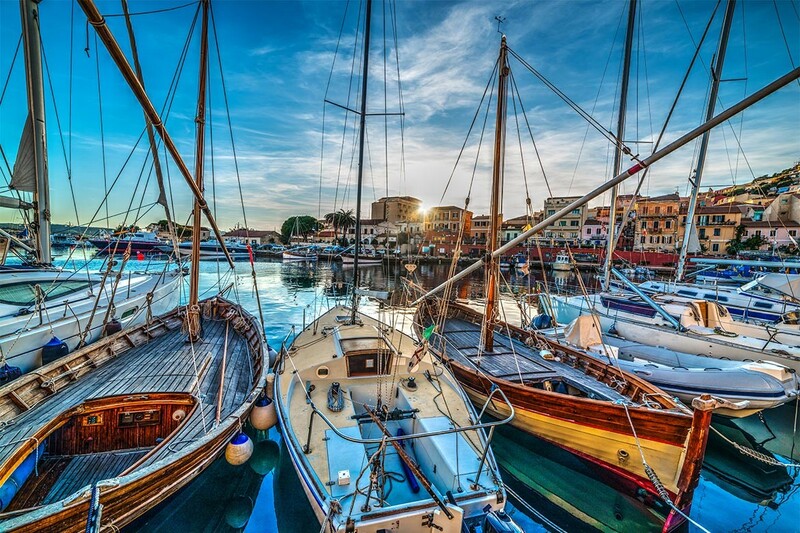 Our Portisco yacht charter office is fluent in Italian, English, French, and German languages. LOCAL CUISINE: Italian cuisine needs no introduction, it's famous around the world for dishes that are savory, delicious, and inventive. Sardinian cuisine draws from larger Italian traditions, while introducing its own appealing elements. Fresh caught seafood features prominently, including famous dishes like spaghetti with sea urchin, octopus salad, and Catalan-style lobster. Seadas are a traditional fried pastry dessert filled with lemon-scented cheese. Local beers, wines, and liquors are prized throughout the region for their quality and fine taste. 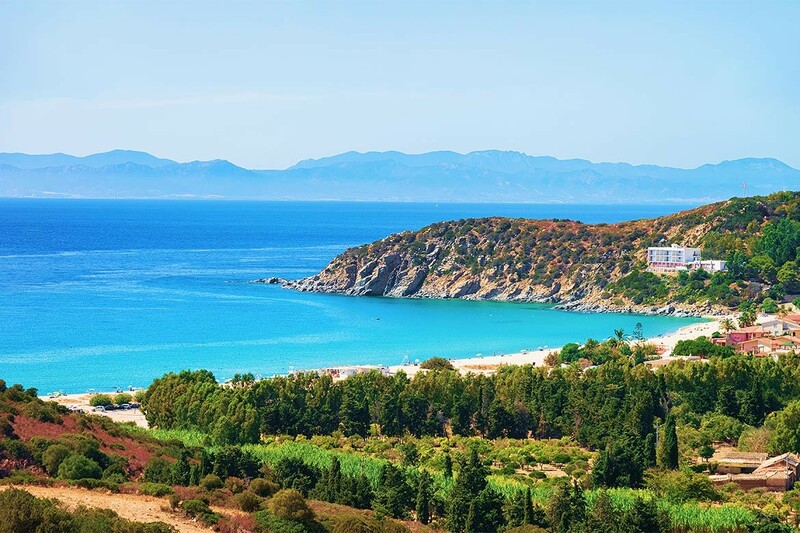 Sardinia is a major resort and vacation destination, with an amazing range of restaurants eager to cater to guests on the island. 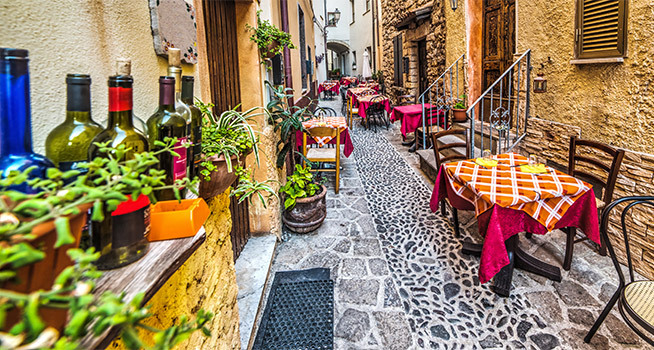 You can enjoy adorable seaside cafes, lavish fine dining restaurants, and everything in between – you'll love Sardinia for the variety of foods and exquisite dining experiences! 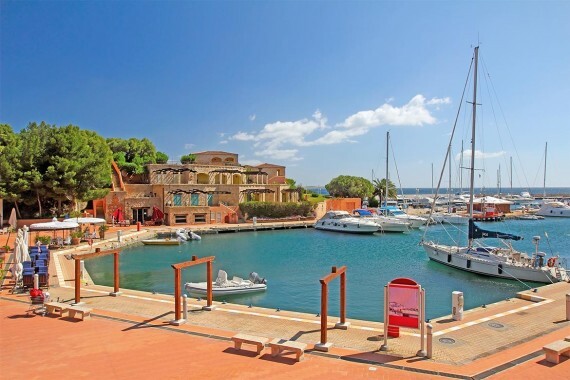 Marina di Portus Karalis is located in Porto di Cagliari and is perfectly fitted for all size vessels. The base is only ten minutes from the main airport of Cagliari/Elmas and is conveniently near a full range of dining, entertainment, and shopping options. Portisco Marina is located just 20 minutes by car from Olbia/Costa Smeralda International Airport. It is the ideal starting point for numerous sailing routes of incredible beauty. The epic sights, sounds, and experiences of Sardinia are waiting for you to discover them – are you ready? 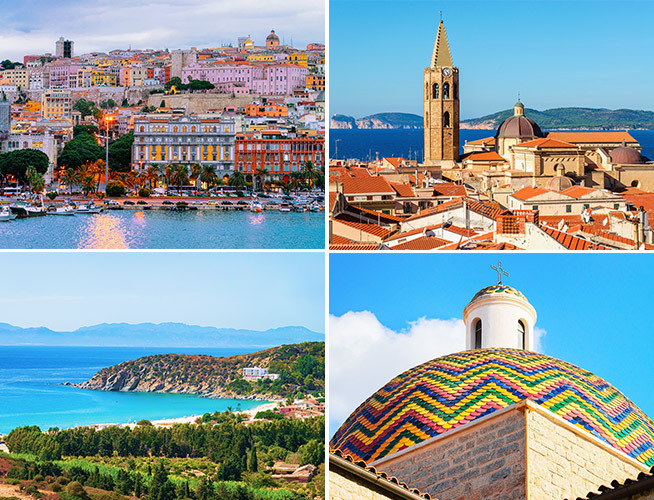 Navigare Yachting is here to make your Sardinia sailing vacation dream a reality, with a full fleet of bareboat charter and skippered charter options to choose from. We're ready to introduce you to the greatest holiday experience of your life! Why choose Navigare Yachting? We make planning your yacht charter Italy vacation easy, with our exclusive payment plan that allows you to pay in up to six monthly installments. Book now and you'll enjoy the best rates and availability. Bareboat, skippered or crewed luxury yacht charter - browse our fleet in Italy to find the perfect yacht for your sailing vacation. Sail away to beautiful Italy in one of our amazing iteneraries. 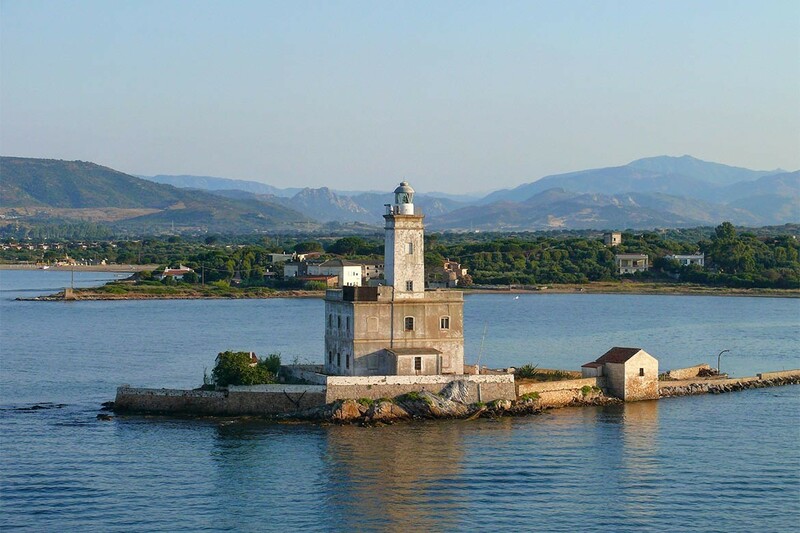 The Northern Sardinia sailing route includes locations in the Arcipelago della Maddalena and is suitable for both small and big yachts. Distance covered each day is about 16 NM. 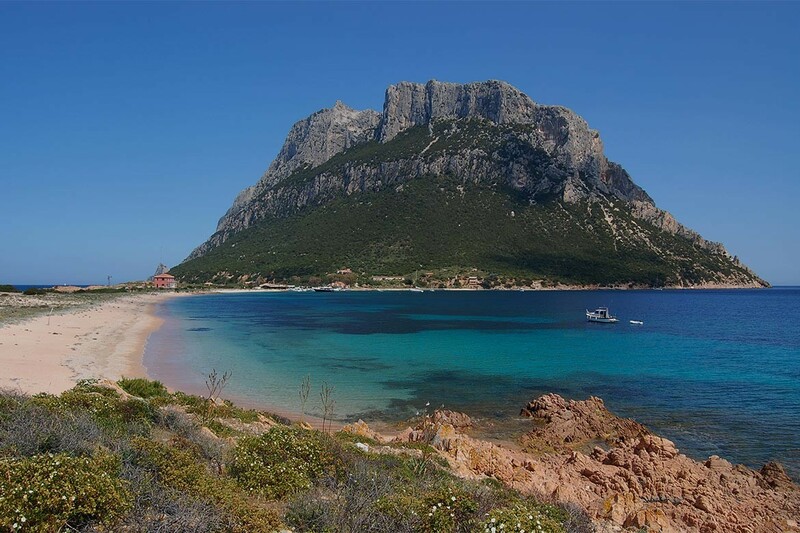 North from Olbia you will find a famous sailing resort, Cala di Volpe. It is well sheltered from the wind and includes a long beach you can enjoy. The next stop is Porto Cervo, a very popular luxury tourist and sailing resort. 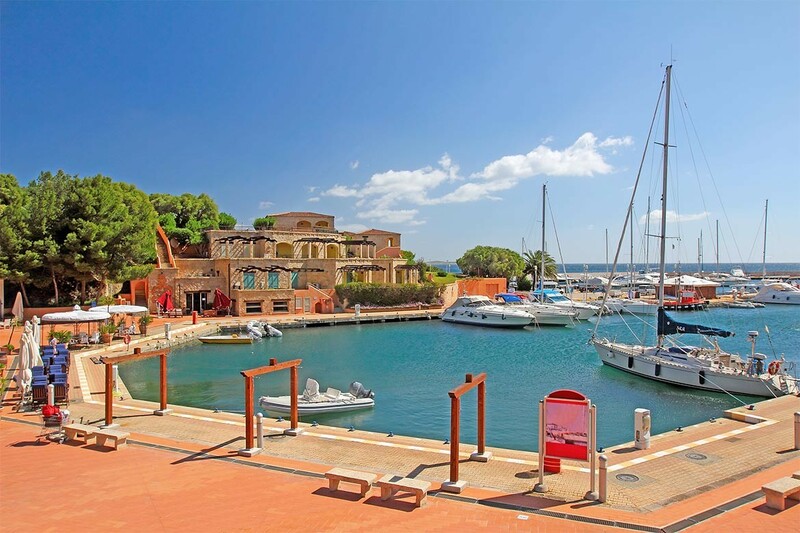 There you will find a charming village and a modern marina full of tourist attractions: nightlife, regattas, shopping and gastronomy places. Both of these locations can be very crowded, so be sure to check the availability of boat places! 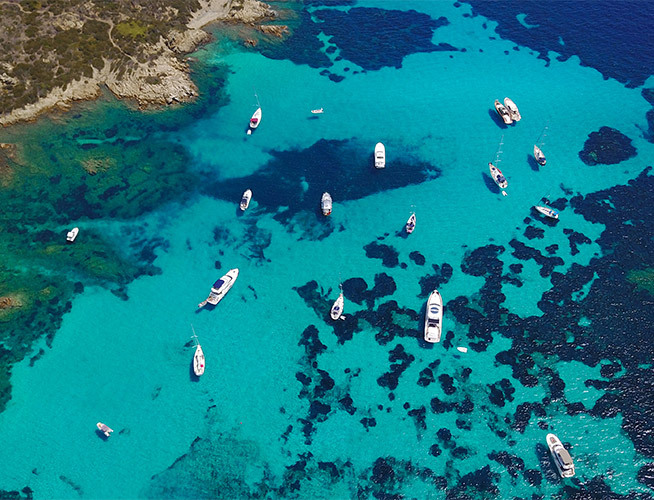 Sailing north, you will get to Cala Spalmatore, one of the many bays of La Maddalena. 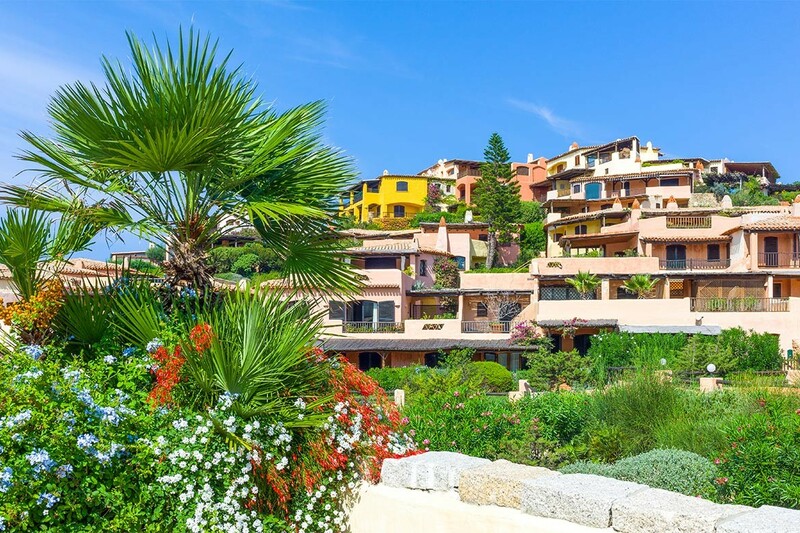 From there, you can reach the Cala Gavetta harbour and go on exploring the village and the land (the main attraction being the house of Garibaldi). Between La Maddalena and Spargi is situated Santa Maria, a bay with crystal sea and great anchoring spots. There you can enjoy swimming and exploring the interesting build of the bay (especially the reef in its middle!). The next stop is Santa Teresa di Gallura, a well sheltered bay with a harbour and a marina, famous for corals. From there, make sure you enjoy a magnificent view on the Bonifacio sound. Lavezzi Island is located only 6 miles away from Santa Teresa di Gallura. The island is inhabited, but includes a bay (Cala Lazarina) and pretty beaches where you can immerse yourself in the beautiful nature. There is only one trace of human life there, and that is the cemetery in honour of the sunken French frigate Semillante. Two hours of sailing from there, you will get to your next destination, Palau. During your stay in Palau, you can also visit a nearby island, the Island of Spargi, and its astonishing, well-sheltered, granite-rock bay, Cala Corsara. Once there, you should take some time to relax and enjoy clear sea and white sand. Then you can continue your journey towards Poltu Quatu. 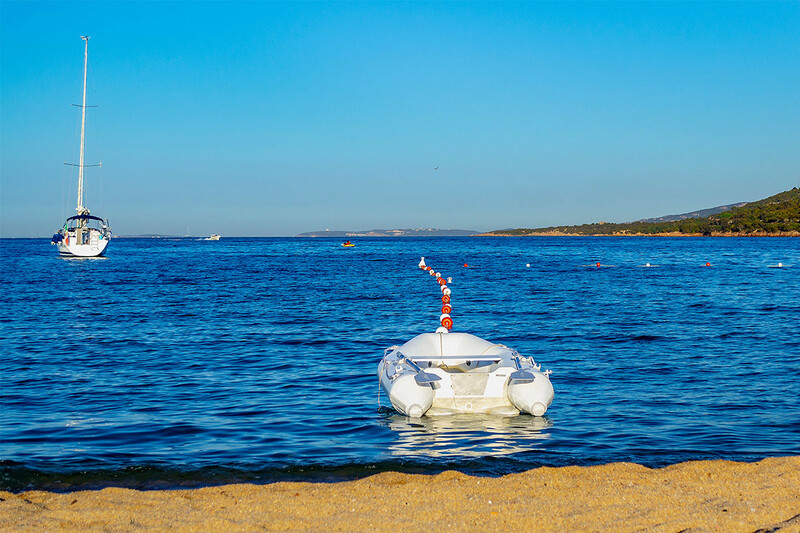 After Poltu Quatu, your next destination is the Golfo della Marinella, which you will reach by passing through Porto Cervo and the Gulf of Congianus. 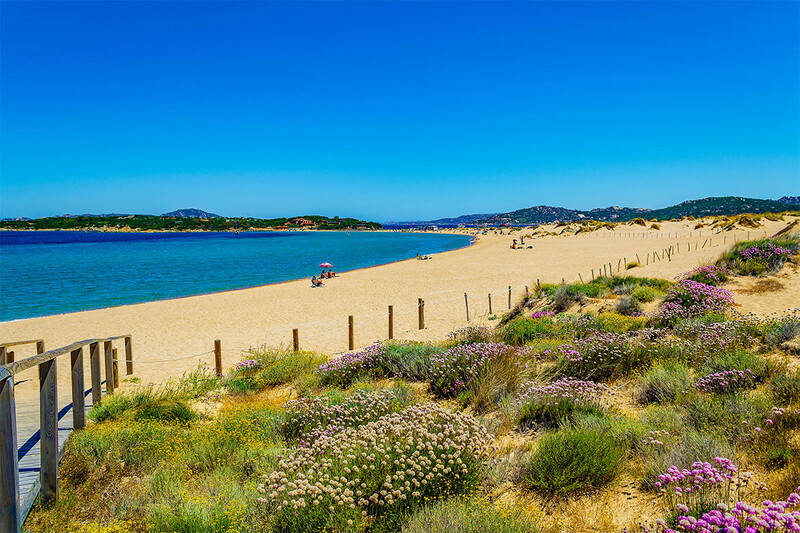 Enjoy the last bits of your Sardinia adventure in a perfect climate and tropical white sand beach. 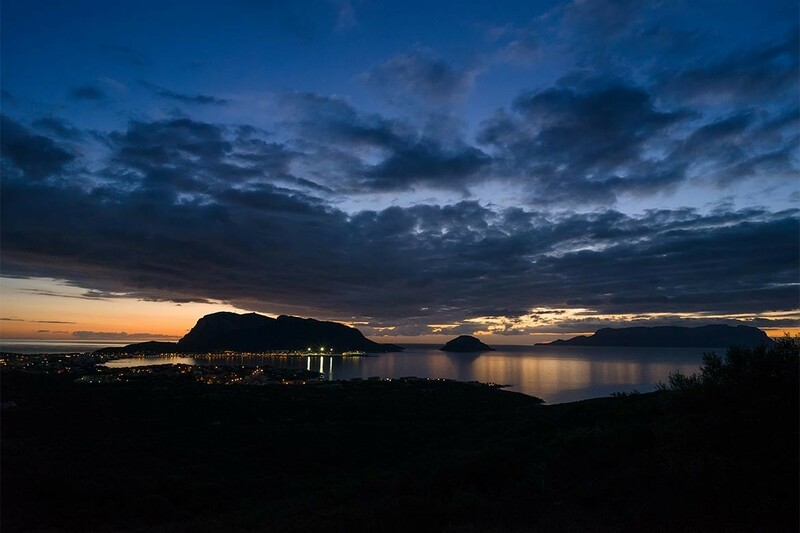 Continue sailing to your final destination, Olbia. With this South-East sailing route in a favourable climate (mostly NW and SE winds) you will discover numerous breath taking sceneries you will never forget. Cagliari, the capital of Sardinia, is a popular destination with so much to offer. From the waterfront, you can see amazing views as you enjoy local cuisine or a walk. The nightlife is also rich, as you can choose to explore three famous neighbourhoods: Castello, Marina and Stampace. Gulf of Angels is one of the famous tourist destinations. A long sandy beach of Poetto surrounded by the Sella del Diavolo hill makes it a perfect location to enjoy the nature. There are many more beaches nearby that are more secluded and intimate. 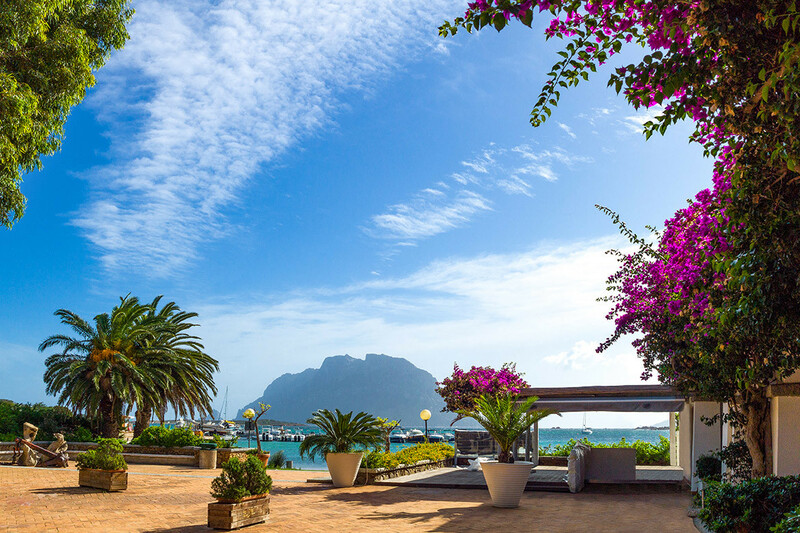 The first port on the way to Villasimius is the Marina di Capitana – Quartu S. Elena, where you can get all the provisions you might need. 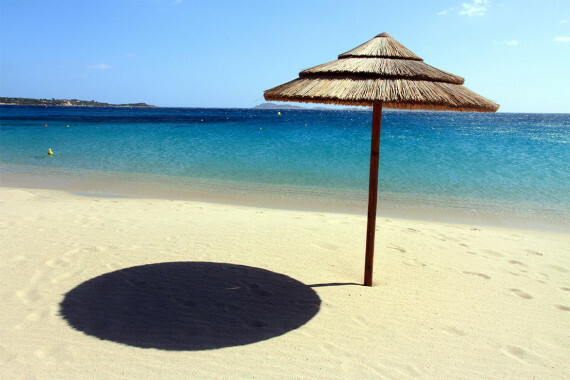 On your way to Villasimius, we recommend making several stops at the villages on the way. There are no landing facilities, so it will give you a complete sailing experience. Capo Carbonara is, along with Isola dei Cavoli and the Isle of Serpentara, a part of the Marine Protected Area. You can do a lot of sight-seeing to do here, whether you like to just stop and enjoy the nature, or you like to explore the local architecture. Some of the places where you can enjoy the nature are: Beach of Rice, Traias, Port Rush, Cava Usai, Notteri Pond. As for the architecture, you can visit the Old Town Bridge Tower and fortress, Punta Santo Stefano, the village of Santa Caterina, and the Tower of Port Rush. Before any water sport activities, we advise you to check the protected area’s guidelines to avoid any fines. In the south-eastern part of Capo Carbonara, you will find the Cabbages Island. You will be amazed by the combination of vegetation, rocky ground, sand beaches and ancient architecture. 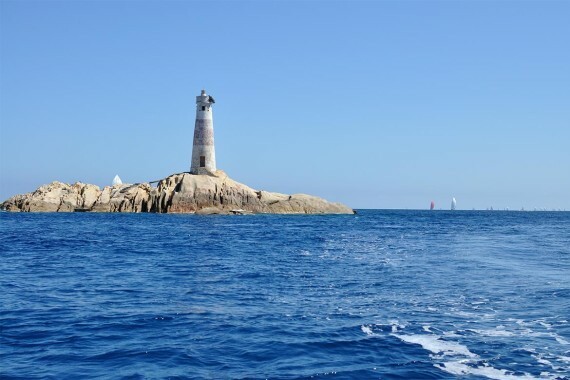 Apart from dipping into clear sea, you can see the old lighthouse from the 19th century and well as the statue of the protector of sailors, Our Lady of Castaway. After exploring interesting places on your way, you will finally reach the town of Villasimius. It is well known among both the tourists and the locals, so it is well equipped with a modern marina and all its facilities. 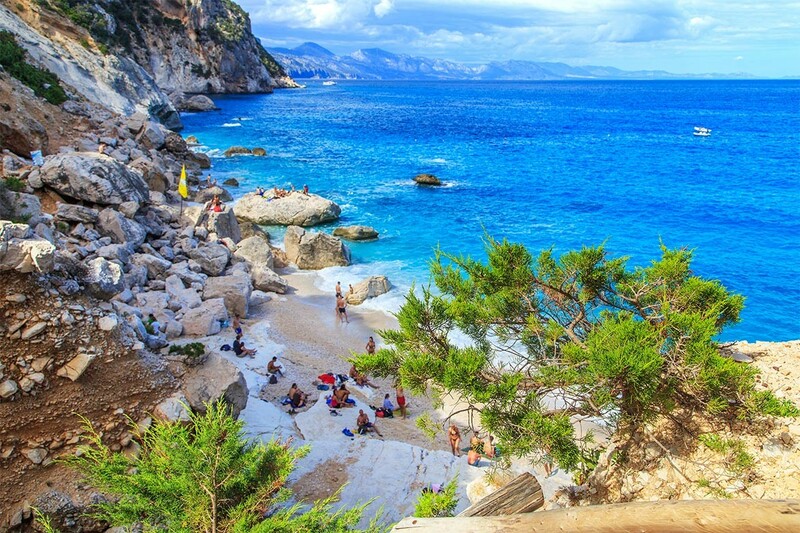 Also, it is known for its rich vegetation typical for the Mediterranean. Costa Rey is a seven kilometres long coast, which has a very changing landscape that will never get boring, as it combines secluded charming coves and long beaches.